The Russian environmental group Ecodefense is conducting what it calls a “coal tour” of Russia to highlight issues of its mining and transport, and how, as the dirtiest of fossil fuels, its continued use in Russia contributes to global climate change. The group’s tour last week stopped in Murmansk, and will continue throughout Russia, wrapping up in the Far Eastern cities of Khabarovsk and Vladivostok. “Our main purpose is to draw attention of the environmental movement in Russia to this issue,” said Vladimir Slivyak, Ecodefense’s co-chair. The groups tour features a documentary short, called “On Coal,” about the impact of the industry on Russia’s coal-heavy Kuzbass region. Russia is one the world’s biggest coal producers, and has the world’s second largest supply of coal. It’s also the plant’s third biggest exporter of coal, after Australia and Indonesia. Coal is mined in 25 regions in the country, and according to Ecodefense’s statistics, the coal industry employs 150,000 people. 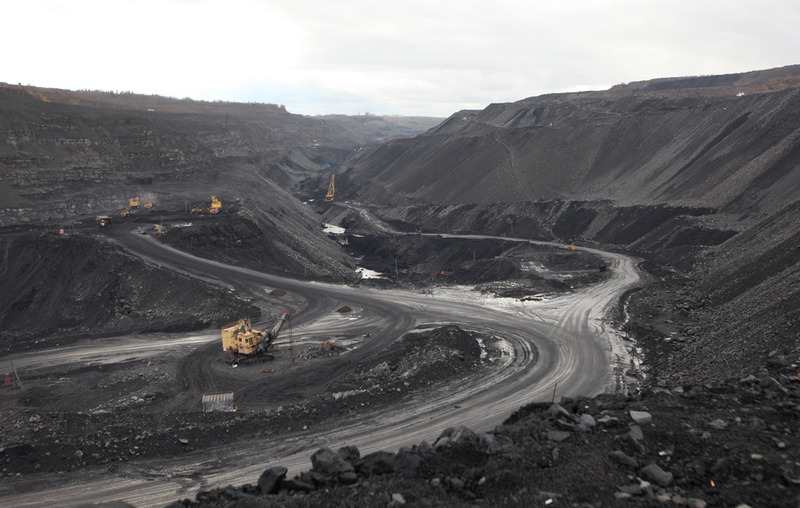 Russia mines 350 million tons of coal a year, 70 percent of which comes form open pits. There are 120 Open pits operating in the country and 86 underground mines. Slivyak said Russia mines more coal than did the Soviet Union, and that 60 percent of that comes from the Kuzbass region in south central Siberia. Ecodefence’s 10 minute documentary focuses on the life of a small village of native peoples in the Kemerovo region who daily experience the effects of living next door to a coal mine. Mining in the area is conducted in open pits, which fouls the local environment and causes widespread health difficulties. Explosions in the open pit mines damage houses, and poisonous vapors settle on area agriculture. As coalmining companies don’t invest in environmental measures or cleaning technologies, local water wells remain fouled. The industry is also affecting the Shorians, a native Turkic people in the Kuzbass Region, and is damaging their aboriginal hunting and fishing practices. Fish have abandoned local rivers, and deforestation has chased out other animals. 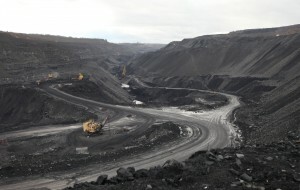 Dementuyev said that the Kuzbass region, with a 2.87 million population, mines 200 million tons of coal a year and leads the nation in emissions, which equal some 1000 per person per year. The land is overburdened, with some 9 percent of the territory taken up by open pit mines. 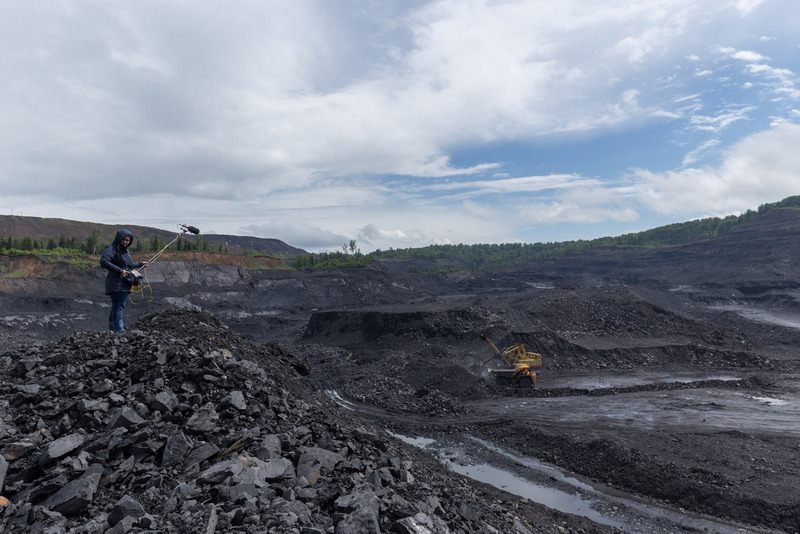 The area hosts 20 coal mining company towns and villages that, thanks to pollution have rates of tuberculosis and cancer that are almost two times higher than the national average. Coal companies even skimp on infrastructure, and further burden already worn out, pot-hole ridden roads to haul out heavy loads of coal in trucks that are far too big for flagging municipal highways. Russia uses coal for 16 percent of its energy needs. The country today mines some 350 million tons of coal a year, and government plans envision upping that take to 480 million tons by 2030. The country currently exports coal to 50 other countries at the rate of 150 million to 160 million tons a year. And just getting this fossil fuel to market means driving it over 4.5 thousand kilometers of railroad. Slivyak said that signatory nations to the Paris Climate Agreement will inevitably wean themselves off coal, meaning exports from Russia will fall, the effects of which will become visible within the next few decades.